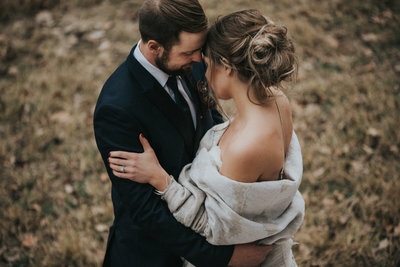 On a very hot summer day, Ceanna (an ER nurse) and Austin (a firemedic) said their “I Do’s” in a ceremony to be envious of. They had settled on a Monday wedding, which worked perfectly for me as all my Saturday’s were already booked. 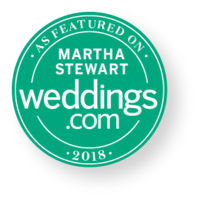 They knew that getting married on a weekday would allow them the freedom to choose all their preferred vendors and make their day absolutely perfect. The morning started at Ceanna’s parents house, who owned a beautiful Saskatoon berry farm, and that’s where Austin sae his bride for the first time. We then travelled to Lacombe to the Big Red Barn for the ceremony and reception. It looked like a page out of Pinterest, except it was true to who the bride and groom were. Nearly all the decor was hand made by them in the months leading up to the big day, and all their hard work paid off by the guests being in awe of how stunning it was. From the floral antlers, to the Mr. & Mrs. bibs, no detail was spared. Congrats Austin and Ceanna on tying the knot!